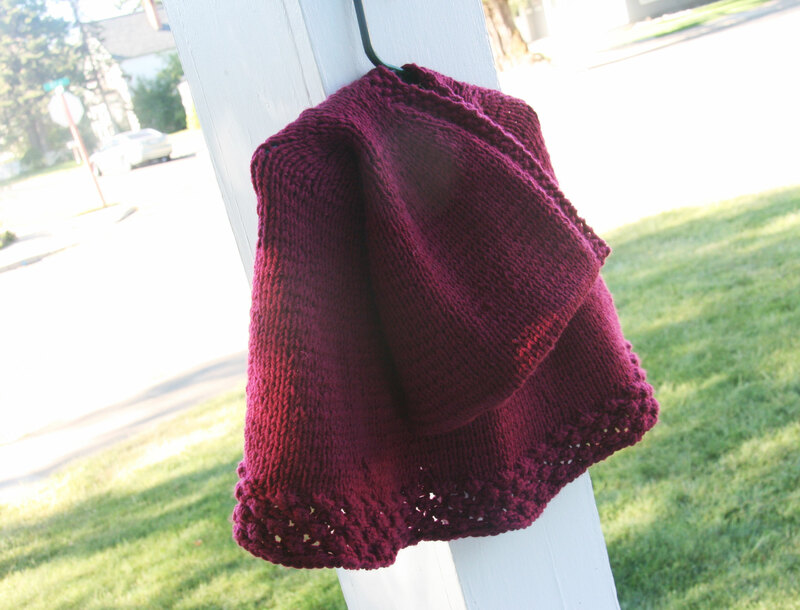 A few weeks ago, I finished knitting a little red cape for my sweet little niece. 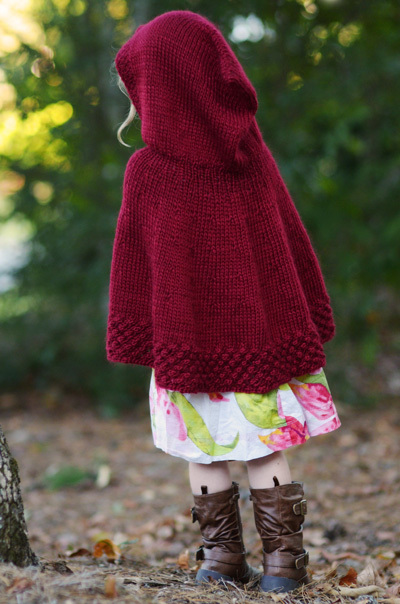 It’s a free pattern from Petite Purls. 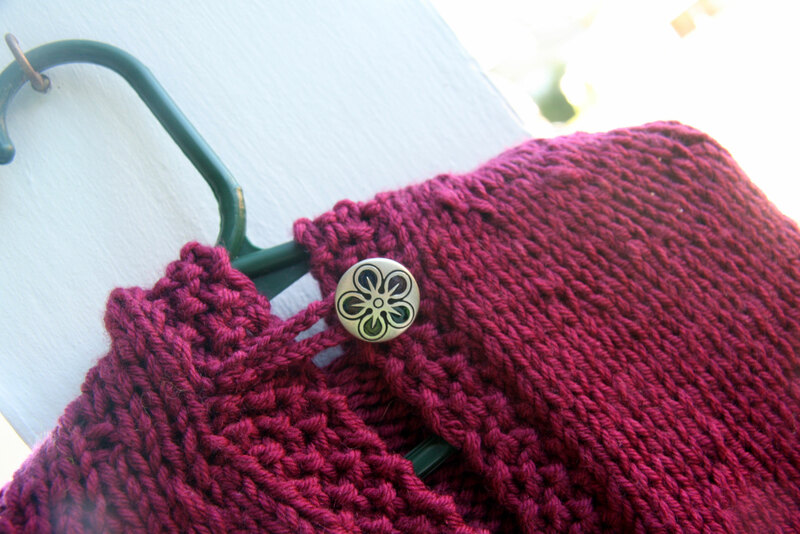 This was really fun to knit. I used Cascade 220 Superwash and held two strands together. I always enjoy knitting with that wool. It required one button at the front, and I was able to find the perfect button (well thanks to the help of a good knitting friend). Pictures on a hanger just don’t do this cute little cape justice, and so this is a picture from the pattern designer. It’s just the most fun little pattern. I would happily knit it again. I have no smooth segue to my Willy Wonka story, so I will just jump right in. David, Davey and I are reading Willy Wonka and the Chocolate Factory. At the beginning of the story, Charlie Bucket and his family keep hoping that by some chance they will find a golden ticket for Charlie. There are a couple of opportunities for him to find the ticket, but he has no luck. Then we read about the other children who do get a ticket. The grandmas in the story describe them as “beastly little children”. At this point, Davey really really really wants Charlie to get a ticket. Just when he thought all hope was lost, Charlie gets a ticket. This resulted in what was probably one of the most memorable reading moments of my life. Davey about came unglued. He started yelling, “He got a ticket!!! He got a ticket!!! Mama! He got a ticket!”. He was jumping up and down and rejoicing for Charlie Bucket. That’s the power of a story for this imaginative kid, and we are having so much fun reading it together! Beautiful knit! What size did you make? And what fun to read chapter books with a little one. I have seen the movie (with Gene Wilder) but never read the book. Roaul Dahl is my daughter’s favorite author. Very cute poncho. It looks like it was fun to knit.